Ultrasound technology could soon experience a significant upgrade that would enable it to produce high-quality, high-resolution images thanks to the development of a new key material by a team of researchers that includes a professor in Texas A&M University’s Department of Biomedical Engineering. The material, which converts ultrasound waves into optical signals that can be used to produce an image, is the result of a collaborative effort by Texas A&M Professor Vladislav Yakovlev and researchers from King’s College London, The Queen’s University of Belfast and the University of Massachusetts Lowell. Their findings appear in the current issue of Advanced Materials. 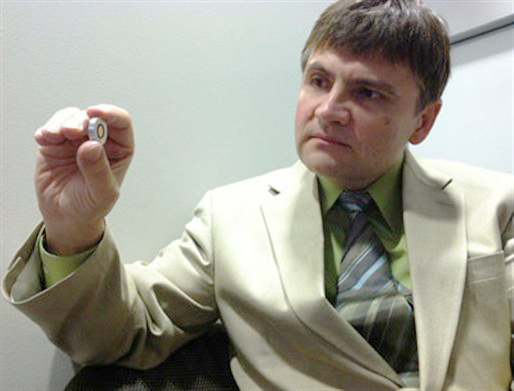 The engineered material, known as a “metamaterial,” offers significant advantages over conventional ultrasound technology, which generates images by converting ultrasound waves into electrical signals, Yakovlev explains. Although that technology has advanced throughout the years — think of the improvement in sonogram images — it is still largely constrained by bandwidth and sensitivity limitations, he says. These limitations, he adds, have been the chief obstacle when it comes to producing high-quality images that can serve as powerful diagnostic tools. Continue reading via Texas A&M Engineering Experiment Station.